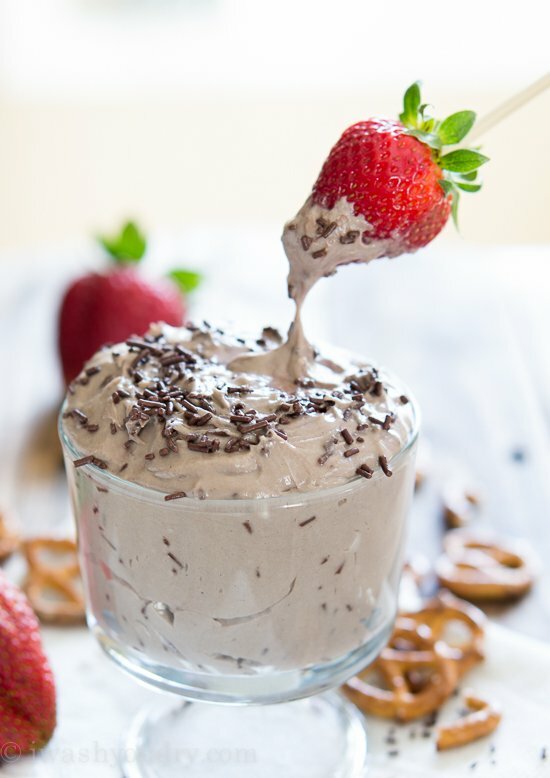 I’ve been meaning to make this Chocolate Cheesecake Cake Batter Dip for a long time. 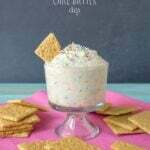 It’s a spin off of my original Cheesecake Cake Batter Dip that I made last year, and all I can say is that, I am sad it took me this long to finally make it. OMahGersh! This stuff is so incredible. 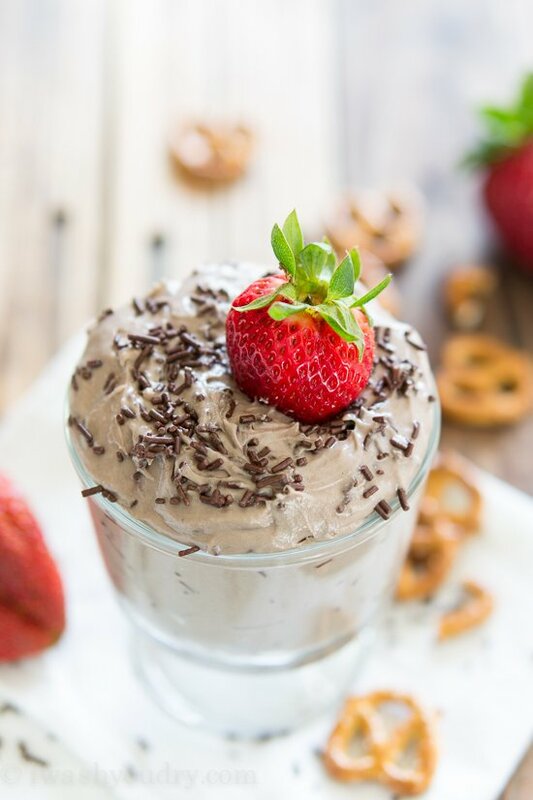 This dip has something for everyone – chocolate, cheesecake, cake batter, PLUS – it’s great for dipping things like strawberries, pretzels, and of course graham crackers. 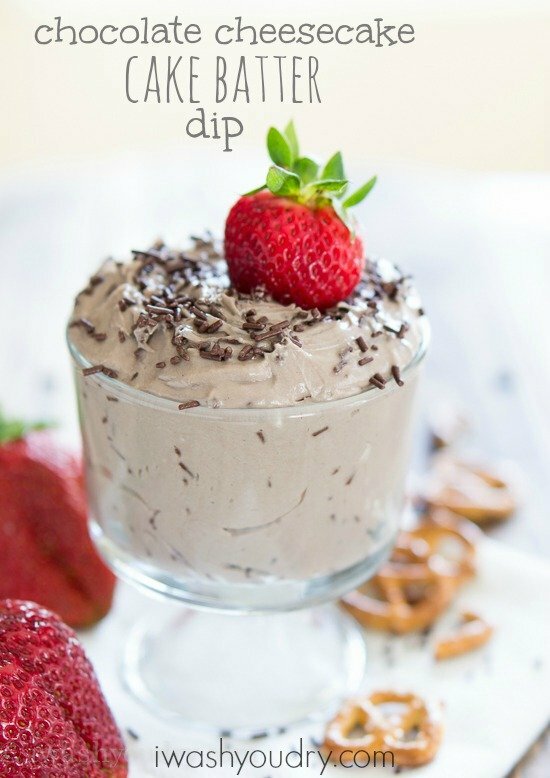 I’m thinking that this dip needs to be made for Mother’s day. 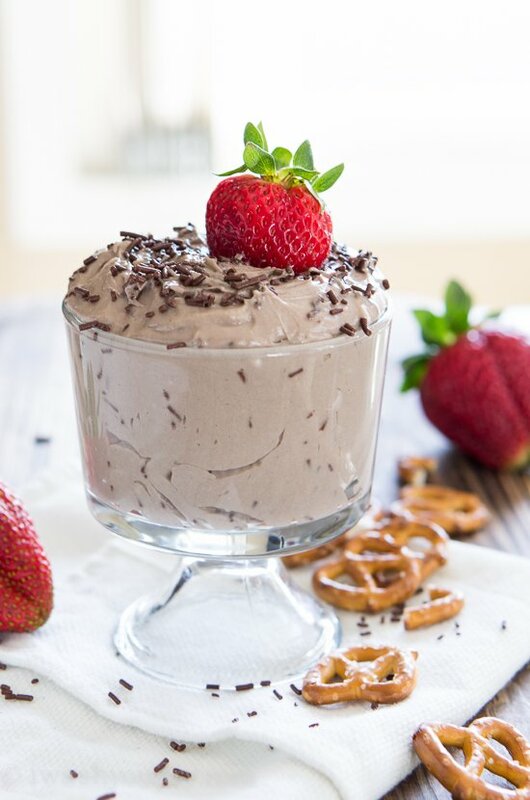 Moms are deserving of this incredible dairy delight. Can I tell you how much fun I had taking pictures of this recipe? The sun light was gorgeous in the living room so I wheeled my little photo cart out to the living room and set up this display of chocolatey dip with chocolate sprinkles, and, well, you see the pictures, it looks gooooood. So my kids start to take notice. They start hovering around me like vultures waiting for their prey to die. At which point I just started taking more photos. 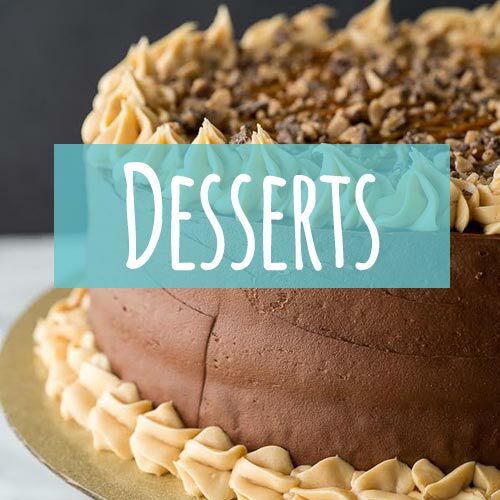 They were getting super antsy, and to be honest, so was I. I wanted to dive right into that dip and slip away into chocolate cheesecake cake batter heaven. 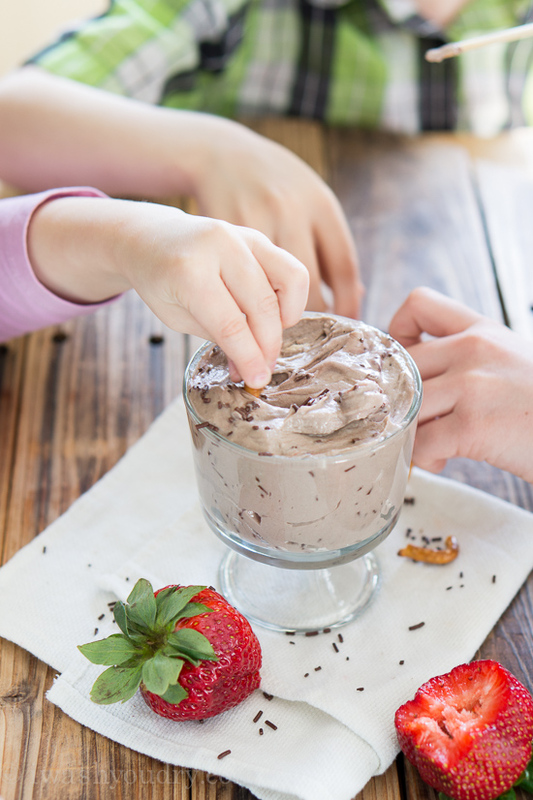 Let’s talk about this dip – it’s so incredibly simple to make. It’s done in less than 10 minutes, which makes it the perfect party dip. It has that gorgeous cheesecake tang from the nutrient rich cream cheese and sour cream, and it’s sweetened just enough with a little bit of powdered sugar. 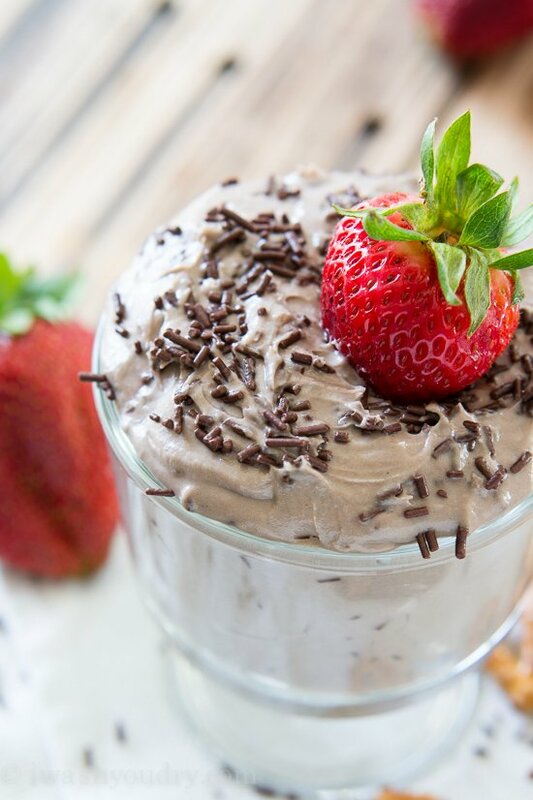 A little dash of chocolate cake mix give it that irresistible cake batter taste and the chocolate flavor really comes to life. This dip really is amazing. You MUST try it out! 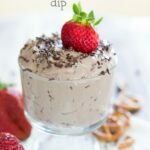 Chocolate Cheesecake Cake Batter Dip is awesome for dipping strawberries, pretzels, fruit, or graham crackers! Place cream cheese in your mixing bowl and beat on medium high speed for 3 minutes, or until it becomes light and whipped. Bring speed down to medium and add the sour cream and vanilla, mix until incorporated. Slowly add the powdered sugar and cake mix to the bowl and mix until combined. Scrape the sides of the bowl with a rubber spatula and then gently fold in the sprinkles. 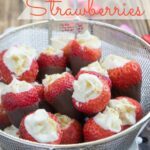 Serve cold with strawberries, pretzels and graham crackers. Enjoy! As soon as I was done with the last photo it was game on. 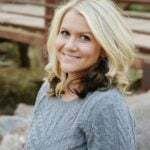 Disclaimer: I am a proud ambassador for Arizona Milk Producers. Thank you for supporting the brands that make I Wash You Dry possible. As always, all thoughts are 100% my own. 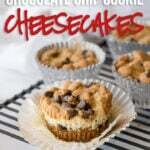 Do you think this would work with a brownie mix instead of the cake mix? I’ve never tried it, but that sounds delicious!! I’m going to do this for a bridal shower. 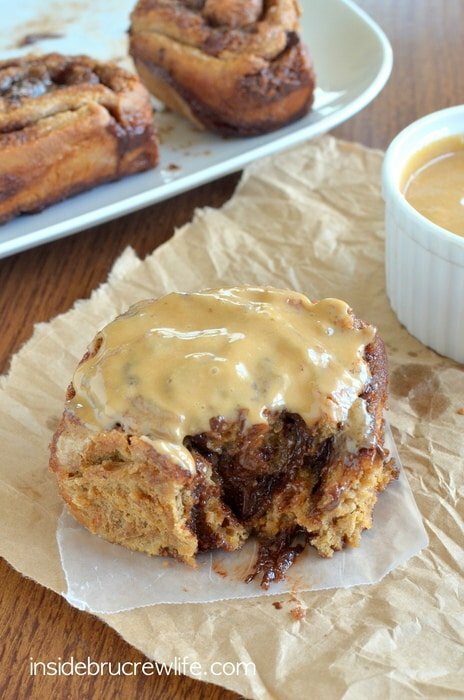 How many servings do you think this makes? 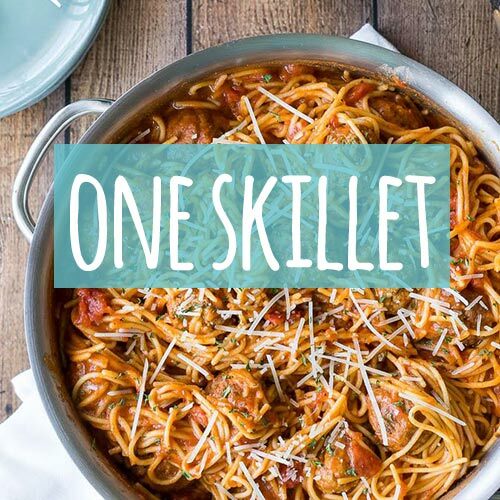 I would say this would serve 10 to 12 people (about 2 to 3 tablespoons per person). Oh no you didn’t! Arggghhh! Oh, my word!!!! I would definitely eat that entire bowl of dip in one sitting!!! This sounds crazy good girl!!!! Insane! I am imagining it rolled up inside a warm crepe with a few strawberry slices and a bit of whipped cream on top.